By Lana Kirby, Denise B’s Aunt, with analysis and commentary by Terri Lewis, PhD, NCC. July 24, 2017. My niece, Denise B. age 42 and mother of two daughters, age 15 and 18, was stable despite major auto-immune disease processes which had already caused her to lose her right leg below the knee. On this day, Denise went to visit her boyfriend. As she was leaving, she felt a terribly painful ripping sensation in her abdomen. 911 was called and Denise was taken by ambulance to St. Francis Hospital in Greenwood IN where she was examined in the emergency room. At St. Francis old medical records documented that Denise had a history of substance abuse but that she had been completely “clean” for 3 years; abdominal internal bleeding had just started leading to bruising of her stomach and back. Her labs weren’t normal, but despite voicing her concern that something was terribly wrong, and expressing her fear of throwing a clot would go to her lung, she was discharged with diagnosis of a bruise and instructions for care. Knowing she’d go home alone and in horrific pain, Denise was afraid and depressed. Asking to see a crisis counselor, Denise was instructed to go to Valle Vista Drug Rehab and Mental Health Center the following day or so. July 25, 2017. The pain worsened, so Denise presented to Valle Vista. Upon arrival, a half hour wait in the waiting room led to a 4-hour “intake process where the intake coordinator was dismissive of Denise’s report of pain at “10” on a 10 scale – and increasing. Upon arrival to Valle Vista, Denise was screened for substance abuse and suicidal idea; which she denied, although her admitting records were coded as “Depression and Suicidal Ideation.” Urgent requests by Denise to call 911 were met with resistance, but a call was finally placed. Denise arrived by ambulance at Community South (ER2) as an admit from the “psych” hospital. Her severe abdominal pain wasn’t taken seriously. The radiologist’s report read that she had about 20 cm of “thickening” (likely from the Lovenox blood thinner shots Denise had given herself every day) with a hematoma in the center measuring approximately 6.5 cm x 4.6 cm. While this may not have been enough blood to warrant transfusions at this point, reports of internal bleeding should warrant further investigation when the patient has an auto-immune disease process which requires heavy blood thinners on a regular basis. Have a clotting disorder such as hemophilia. Have cirrhosis or other serious liver disease. Take blood-thinning medications such as warfarin (Coumadin). The next 1 1/2 days were miserable for Denise. The abdominal pain continued to worsen. Her abdomen was now very swollen and bruised. Desperate for help, Denise determined that she must get help somehow, from someone. July 28, 2017. Desperate, Denise found the number of a hematologist buried in the discharge paperwork by ER2. She talked the hematologist into seeing her that same day. Immediately upon review of ER2’s records, the doctor noted that the “hematoma was 20 cm x 6.5 cm x 4.6 cm. He also noted that she was released despite high levels of hemoglobin shown in her labs and released on blood thinners, Lovanox injections, Plavix, and aspirin. He advised Denise that if she didn’t get transfusions started right away she would die. She was taken by ambulance to Community South where she was immediately admitted with orders of transfusions, CT scan, and bloodwork. She was given 2 units of blood STAT. Assessment of her extremities located a blood clot that had formed in her leg. She was taken to surgery the second day after admission and the clot was removed, but it reformed the next day. Denise laid in a drug-induced coma, intubated, for a week while doctors and family patiently awaited internal bleeding to stabilize that they could amputate her remaining leg. Denise has now lost both legs below the knee. Being a single amputee is much different than double. And with the week-long fiasco, Denise also suffered from PTSD from being treated first as an addict and having no one believe her. (4) If the abdomen is bleeding, yet she continues to take blood thinners, won’t she bleed even more in the abdomen? I’m not a doctor, but these questions make sense to me. For the love of God, we’re not talking about losing a tooth, people. Directly as a result of being stigmatized in the emergency room, Denise LOST HER SECOND LEG!! How and why did this happen? She did every single thing that she was told to do by medical personnel at no less than three respected medical care facilities and still wound up getting mistreated, disrespected, degraded, and lost her second limb. This is where the importance of having a caregiver at the side of the patient is of critical importance at this time with the current affairs of the medical community and insurance considerations as they are today. Staff in two emergency rooms provided nearly non-existent care, completely ignoring the fifth vital sign, “pain.” Isn’t pain the body’s way of telling you something’s wrong? Why was Denise’s 10/10 pain IGNORED, IGNORED, IGNORED? This is what I’m trying to understand. Under these circumstances, Denise’s report of pain” was interpreted by emergency personnel and doctors in the emergency room, as “drug seeking,” and resulted her discharge without investigation. Throughout this process, she was profiled as a drug seeker everywhere she went and was passed off as “pain patient from a psyche hospital” at one of the most critical moments of her journey through care. What is being done with all the money that has been ear marked for heroin addicts? Haven’t we gone out of our way to “remove the ‘stigma’” associated with being a heroin addict? Why are we doing everything in our power to help heroin addicts, but losing the fight? Why are good people sacrificing life and limb to …What? Prove a point? Educate someone, anyone! I, for one, have “had it up to here” with this type of inhumane, disgusting lack of humanity, and deliberate teasing, mocking, and wrongful treatment of pain. Addiction leadership in this country has installed harmful rhetoric that is increasing serious adverse effects. The government’s so-called “war against heroin” has emergency personnel numb to the fact that the patients they’re dealing with could have a real problem unrelated to illicit drugs or an overdose. In this case, emergency personnel interpreted her presenting problems through the ‘heroin epidemic,’ overlooking obvious symptoms and red flags that a much more serious problem was going on. It has come down to this. When as you enter the emergency room as a chronic pain patient, you’re alone – it’s a “you against them” mentality and you better not enter this alone because you have no protection from the effects of being stigmatized. I would welcome the opportunity to discuss this with PROP, CDC, FDA, the President’s OPIOID Commission, and members of Congress. Denise’s story is becoming less and less unique. To understand the degree to which Denise was injured as a direct result of her interaction with her health system, one has to examine the various points at which Denise’s care went awry, beginning with her first presentation to the emergency room of her local community hospital. First, Denise’s history of substance abuse resulted in her being tagged as a drug seeker with mental health problems by ER personnel when she expressed that she was experiencing pain. This was reinforced by her characteristics – she has a history of substance abuse although she was clean, an obvious disability, she has health conditions that would ordinarily be under the care of pain management, she relies on public benefits, and upon her second presentation, she arrived from the local mental health center. The self-reported health complaint that brought her into the ER was dismissed in favor of the perception that she was there to obtain drugs for pain despite her documented complex health care history. Second, emergency rooms have a responsibility to stabilize and return to community care as quickly as possible. But Denise lacked a primary care physician to return to – an increasing problem for persons with complex care needs. Having none, her request for crisis support resulted in a referral to a mental health and addiction provider, no substitute for primary care. When she presented as directed to the local mental health provider crisis intake, her self-reported acute levels of pain were characterized as drug seeking. While screenings for suicidal ideation and substance abuse are required and important, personnel on the scene interpreted her reports of pain as ‘anxiety, preoccupation with her health conditions, rumination, and paranoia.’ This followed her into the emergency room and led to her care being delayed by more than 48 hours from the time she left the first ER to the time she was finally forwarded to the next hospitalization. All the while, blood clots were building in the remaining leg and the abdomen. ER2 identified a hematologist in their discharge paperwork, but the appointment was not made by hospital personnel to follow up her ER visit with an appointment. Errors of discharge process allowed her medical crisis to worsen. Hospital social workers were not contacted for assistance. Her medical records reflect a history of noncompliance with health care which actually reflects a lack of resources to comply with scheduled appointments. This is a prime example of the need for communities to design ‘every open door policies’ and train personnel about recognition and handoff of complex patients with multiple comorbidities. This also represents a health care system training gap. Medicare has created a carve out for primary physicians to utilize case management and medical home procedures for complex cases in order to reduce re-hospitalizations and improve outcomes. But one must have access to a primary care physician in order to utilize these services. Persons who receive their healthcare through the emergency room are not represented by this resource. With increasing frequency, persons with chronic pain are being dismissed from primary care practices over fear of prescribing schedule II drugs and lack of Board Certification in pain management or anesthesia. Third, Denise is dually eligible and has both Medicare and Medicaid, which should have provided a large clue to ER personnel that she had verified special health needs which had already been determined and which were reflected in her medical records. Her available medical records at Community Hospital reference multiple conditions that are not reflected in her amputation discharge planning at the rehabilitation hospital, any one of which requires consistent supportive monitoring – history of substance abuse; asthma, celiac disease, chronic pain, depression, IgA deficiency; occlusive thrombus; psoriatic arthritis; Raynaud disease; seizures. Her insurer, Humana, is managing Denise’s insurance through a Special Needs plan (SNP). This is a type of Medicare Advantage plan that combines all the benefits of Original Medicare (Parts A and B) with prescription drug coverage (Part D), but it’s only available to beneficiaries who have a specific health condition, who are eligible for both Medicare and Medicaid, and/or are a resident of a long-term care facility. Care coordination is supposed to be a feature of this plan but there is no evidence that this has been accomplished in this case. Because this has not been accomplished, a primary care physician is not available to Denise, leaving nobody to order post-surgery follow-ups or ensure that she has access to medications, assistive technology, prosthetics, or nursing supports. Without these follow-ups, her recovery is compromised and she is vulnerable to relapsing illness and substance abuse. As importantly, consumers in Denise’s situation may not understand their rights and fear engaging with the system because they lack the language to ask the right questions. Fourth, the influence of Denise’s blood clotting factors were known but their influence was detected very late in this intervention. They require monitoring and evaluation in order to head off future difficulties. Again, there is nobody to coordinate the necessary resources with a hematologist or other services. Fifth, Denise’s report of pain as her primary complaint derailed her care from the beginning of her presentation to both emergency rooms – where she was met with a firm denial of drugs for pain. While she was denied attention for pain at intake, at discharge there is nothing in the records to suggest that perhaps attention should be given to coordination of her post-surgical pain management with relapse prevention for substance abuse or treatment for depression or the host of other challenges she is facing. 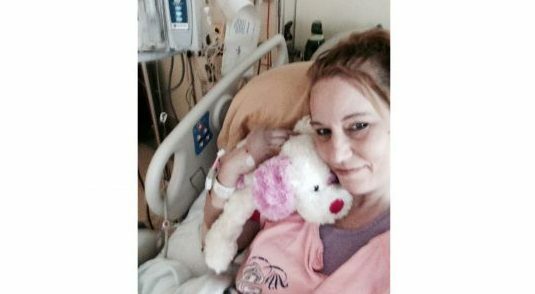 Denise’s discharge planning after amputation is devoid of recommendations for managing the multiple medications she is taking daily or pharmaceutical counseling. It appears that the focus on denying drugs for pain may have been given far more weight than addressing the risks of polypharmacy and drug-drug interactions or need for pharmaceutical review and counseling. Polypharmacy is a leading cause of medical harm and creates vulnerability to overdose, but in this case, drug-drug interactions went undetected. Additionally, drug interactions were not detected until her care partner became involved and reviewed medical records in total. The emergency room is not a substitute for primary care. Denise is clearly a candidate for palliative care at this point and certainly was prior to this interaction based on her medical records. It is unlikely that emergency room personnel would consider this kind of facilitation to be within the scope of their duties. Given the nature of her comorbidities, she was a candidate for this type of care prior to her surgical amputation of the second leg. Had she had access to coordinated community-located care, it may have had an impact on management of her multiple comorbidities and might have led to earlier detection of her clotting disorder, preventing the loss of the second limb. Indiana’s pain law offers this support once the determination is made that her complex needs will require ongoing coordination of multiple supports for the balance of her lifetime. Assisting Denise by coordinating her care needs will improve her health status, facilitate her independence, and reduce costs associated with coordination of long term care. She will be able to continue her role as a parent for her daughters. But access to this tool remains unavailable to her because the link from hospital to community is severed by a flawed system design at the local level. Neither the insurer, nor the hospital, nor her specialty provider has closed the loop for Denise throughout this medical crisis. Her medical records make no mention of the need to comprehensively manage her multiple comorbidities. This role is left to caring family members – who are themselves frequently overlooked for the important function they serve in making sure that things work – often at great personal expense to themselves. A case manager needs to be appointed by her insurer to help coordinate her benefits. Because her car is not modified with hand controls, transportation to and from appointments should be authorized by Humana under her special needs plan. Referrals need to be made for specialty care – hematology, prosthetics, assistive technology, home modifications, mental health, physical rehabilitation, adjustment and family counseling. A referral to the hematology group at Cleveland Clinic is now underway. The goal is to get to the root cause of her factor clotting issues so that she can be properly medicated and monitored. Multiple surgeries will have to be coordinated to prepare her limbs for prosthetics. This will require coordination of planning and benefits and mindful assessment of her factor clotting issues. Denise needs pharmaceutical counseling and her medications need to be closely monitored with periodic follow-up so that she gets outcome she deserves. Denise needs a positive social network and social interaction within her community. A church, social club or community agency volunteer roles may help with recreating a positive community network. 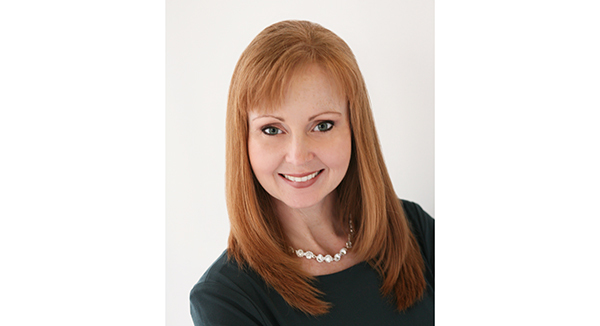 Dr. Terri Lewis is a rehabilitation educator, clinician and researcher who specializes in chronic pain and is a frequent contributor to the National Pain Report. Dr. Lewis is writing a series of articles in September that address the big issues facing chronic pain and chronic illness patients. Her other installments can be found here. in the emergency room and it specifically addresses bleeding indicators. First God Bless This Yound Lady,this is a travesty along with being Barbaric to say the least,,I sympathize totally.I as well presented to the emergency room with severe stomach issues and Pain that I knew was definitely trouble because I could no longer walk and had to be pushed in a wheelchair. Because I was profiled as a drug seeker as well and did not ask for pain meds because I had my own at home as I explained they were not even touching the pain that I was in,, Well long story short,,I was dismissed as a drug seeker and sent home only to return because I knew I was going to die if they didnt take me seriously and find the cause of this pain. This is horrific! About 23 years ago, I went to our local ER with abdominal pain. I was sent home and told to see my doctor the next day. I got the feeling I was being profiled. I arrived home (I was still living with parents) and told my husband (fiance at the time) to go to work (he worked nightshift). I feel asleep and woke up in the middle of the night with the worst pain I could never imagine. I could not take the smallest breath without a deep stabbing sensation in my diaphragm. I couldn’t scream out, cry out, move, etc. because the pain was that bad. Finally I was taken to my doctor who took one look at me – white as a sheet, weak, extremely low blood pressure, in a wheelchair – and said to get me over to ER pronto. Next thing I knew I was being prepped for ER surgery while having problems keeping my body still because it was convulsing from the pain. I also remember them shoving papers in front of me to sign. After surgery, I found out I had been bleeding internally due to an ectopic pregnancy that ruptured within my right tube along with an ovarian cyst rupture on my right ovary. They had to remove both my tube and ovary and give me blood. Surgeon said I had bled almost half of my body’s blood supply into my abdomen and had I wanted just a little longer for medical intervention, I would have died. I do believe this is the traumatic incident that triggered the fibromyalgia. A few years after that, I started experiencing the same feeling – blacking out due to pain and blood loss, abdominal bloating, etc. Both times I was profiled – only because I was young and had unexplainable abdominal pain. The second time resulted in being forced to lie in a hospital bed for at least four hours while attempting to take the smallest breaths due to the horrible stabbing pain because they thought I was faking it. I found out later on that when one is bleeding internally, the blood will often pool around the diaphragm, irritating it, making it excrutiatingly painful to take even the smallest breaths. Both of these incidents have no doubt sparked a form of PTSD within me, as I’m also now terrified to step foot in an ER as a patient. As many of you know, it is the scariest, most helpless feeling in the world when you’re suffering from pain (acute, post-op or chronic) severe enough to impede your ability to communicate with another person, esp a doctor or nurse. What happened to your niece is unforgivable. No one should ever be profiled. Their symptoms should be taken seriously. When will the Attorney’s start suing on behalf of the chronic pain patients? Also, all chronic pain patients, please BOYCOTT CVS starting yesterday!!! I went to the hospital that my doctor is affiliated with, also happening to be the hospital I was born in, for complications from a severe infection that was initially thought to be impetigo. I had been treated with one antibiotic, but thungs were getting worse again, and quickly. I was in severe pain, much more than normal with my DDD, fibro, and myofascial pain. The staff was fine with me until the nurse saw the fentanyl patch on my arm… long story short, I was offered a CTScan to rule out a tooth abcess. That’s all. I didn’t even get a complimentary blood draw or bag of saline. After seeing my doctor, I was put on a second antibiotic for a severe MRSA infection and am still taking it 49 days later. If the ER staff had done their jobs it would have shortened my healing time tremendously. I wasn’t looking for pain meds, I was hoping for a new antibiotic! But the staff saw that I was from out-of-town and looked at my medication list and NEVER BOTHERED TO LOOK AT MY CHART. The hidden silver lining is that I didn’t end up catching something else while in quarantine at the hospital, but if I break a femur are they going to deny me IR meds because I already take long acting ones? If I tell you that this is beyond any pain I have ever experienced, please take me seriously. 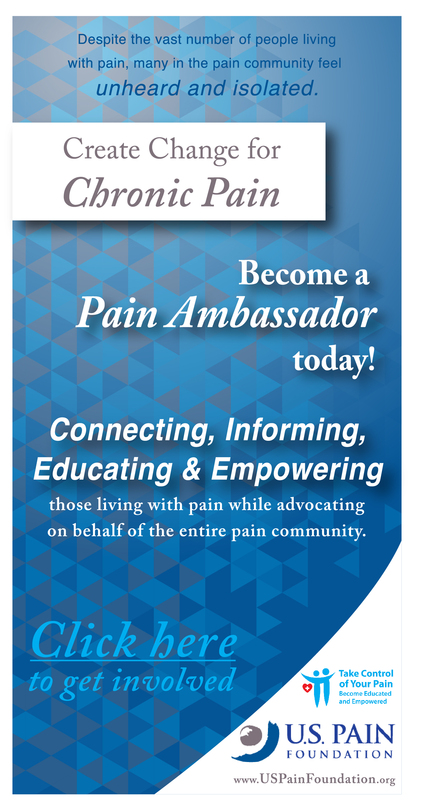 I’ve been in chronic intractable pain for nearly 20 years now and a patient of the same doctor for nineteen of those years, yet it happened to me. 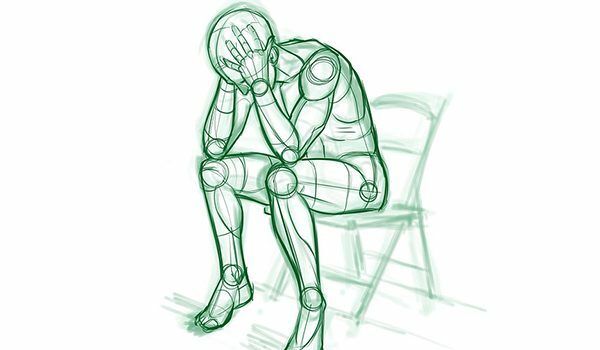 The suicide rate amongst chronic pain patienta is skyrocketing, and not because these patients are all depressed, but due to the number of physicians and even states that have “just said no” in recent years. 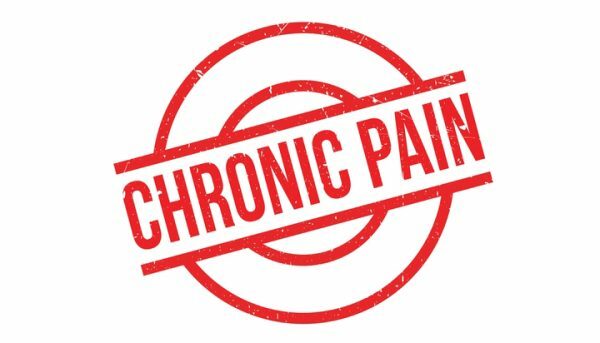 Chronic pain patients have also been shown to be the least likely to abuse pain medication, yet we are looked down upon because a doctor has deemed us that sick in order to need it. Where is the logic behind that? You’ll treat me as an addict even though I bring you not just a medication list but a bag of medications so you can see they are all prescribed by the same doctor and my counts are spot on and medications current? Why? Until the CDC regulations are repealed and replaced, I fear for all of us. I’m stunned by reading this. Especially when I read about Denise’s 2nd amputation. I cannot imagine all that she has been through and has yet to deal with. God, please give her continued strength to endure it all! Why has medicine gone so wrong? Why does it always have to focus on the whole PAIN issue? Why couldn’t they look beyond her drug history and strictly focus on her drastic abdominal complaints and medical history?! Such nonsense! And I hope she finds a good lawyer to help her sue those ER’s and mental health facility. Shame, shame, shame on them! Denise, know that your are now on my prayer list. Keep strong. You are loved. You do not have to have a Medicare Advantage Plan for Medicaid to help with Medicare Expenses. You only have to meet low income and resource guidelines. Nothing can make up for the loss of her leg but I hope this woman gets a lawyer to sue the hell out of everyone involved. While malpractice insurers will shield the medical personnel from any financial pain, at the least, Denise may get enough money to insure that she receives top-notch care the rest of her life. A horrible story. I have had this similar experience of being dismissed by medical personnel just because the whole medical profession is on a witch hunt for drug abusers. I had a cervical fusion that due to complications led to a medical induced coma for 3 weeks, all leading to a 15 month rehab. While in the hospital providing the inpatient rehab and PT the staff continued to absolutely ignore my complaints of low back pain, even refusing to do any diagnostic tests, all because they felt if I couldn’t actively participate in PT that I must be attempting to get pain meds. They even convinced my husband that any patient not participating must be an addict looking for meds. Needless to say I had to go all the way back to CA, where the cervical fusions has just taken place 9 months prior, from FL in order to get something done. To be taken seriously that I needed more than to be labeled a drug “shopper”. I had an unstable spinal stenosis that my surgeon said was extremely unstable. Why, when according to many “surveys” or reports that maybe 10% of patients might be trying to manipulate pain meds out of a doctor, yet 90% or more of the patients are screened/labeled and treated as though they’re in the 10%?? The stigma filters into every treatment plan, every encounter that a pain patient has regardless of whether or not they ever showed any behavior towards pill shopping. You’re guilty before proven innocent. I get that pill mills and unscrupulous doctors caused many horrible issues but the innocent pain patient is paying a horrible price because our medical professionals look at us first as addicts and second as an honest patient with an honest need for help and meds. I’ve had a serious medical condition for almost three decades, dozens of surgeries/ hospitalizations and hundreds of doctors visits and the number of times I’ve encountered a negative and predisposed view from a medical professional has given me PTSD that I call WHITE COAT SYNDROME. And until we can be taken for face value more and more of these type of episodes, just like what happened to Denise, will continue to cause pain & suffering and deaths needlessly. So it’s not easy to file for malpractice but this poor lady, she definitely deserves some compensation for what she went through. I worked ER for many years and can say that one of the biggest fears is “missing” a diagnosis, resulting in patient harm. This reads as a case of serial misdiagnosis, pre-judgment and mislabeling. And it’s happening that many patients are being told the ER said they “aren’t giving pain injections any more”. Others report hospitals even post a sign saying they don’t treat chronic pain. A society or healthcare professional who “doesn’t treat pain” is at odds with Hippocrates, who stated, “Divine is the task to relieve pain”. Wow!!! This is so sad!! It’s crazy that we, chronic pain patients, are so scared to go to an ER for fear of being treated just like this!! I had a similar incident last April. I went to the ER by ambulance for the 3rd time in 14 months. They thought I was having seizures at the time. The Nuerologist did a urinalysis drug screen and I tested positive for PCP!!! I am not a recreational drug user!! Have never did PCP in my life. I was unconscious and didn’t even know what was going on. The Dr told my Son that I needed to get off ALL my drugs, recreational AND prescription. He questioned the Dr about recreational. She said…Well she tested positive for PCP!! My Son adamantly said there was noooo way! The Dr then called the lab and found out it was a false positive!!! Fast forward a few days. Still in the hospital. I was now awake and alert. I wanted to just go home. The nurse said that I had to have a psychiatrist consult!! After a long and heated conversation I said WHY?? The nurse was very angry and said…. Well don’t you know how you were found?? You were dancing in your front yard naked on PCP!!!! By now I AM FURIOUS!!! I tell her NO WAY!!! Read the ambulance report. It says….Husband states patient TRYING TO GO OUT THE FRONT DOOR!! That’s it!! We had a long discussion and she felt really bad. She called the Dr and I did come home that day!! When I looked back at the last 24 hours I noticed that ALL but one nurse were treating me so weird. No one would hardly talk to me!! Now I knew why!!! They thought I was a drug addict!!! I have never been treated so horrible in my life!!! I talked to someone from the hospital on Monday. I told him about the false positive on the PCP!! His response… OH YEA THAT HAPPENS ALL THE TIME!!! What??? I said well you had better find another one!!! I pray that this never happens to anyone else!! We are stigmatized immediately when we go to a hospital!!! Also our hospital uses Hospitalists now so your Dr isn’t even around!!! They also gave me narcan when I got to the ER cause they thought I OD’d!!! It did NOTHING!!! My family said no way. They counted all my prescriptions and they were all accurate. So people!!! We must be our own advocate!!! Sums it all up. We have a communication gap and its killing people. We have an education gap, and its killing people. As an RN in a busy hospital I see this on a daily basis with multiple patients all the time. I can not stress enough the importance of educating yourself, about your medical conditions and advocating for yourself. If you are unable, find a family friend, a counselor, anyone! To be that advocate you need. What you and your medical team don’t know can and will kill you. This is a horrible occurrence that we all hope wouldn’t happen to us. It can and if we go to the emergency room hoping to be treated for pain, forget it. It’s so unreal to imagine the trauma this person had to go through. Do we carry our medical records with us? I had a similar experience in a large downtown hospital’s ED recently, although not nearly as devastating. Presented with severe edema of left hand and numbness and weakness in left arm, that ended up down my leg and up my ribs into my neck. Was given ECG & brain MRI with contrast, told that I wouldn’t get any pain meds despite not complaining of much pain and no history of substance abuse. Given “migraine cocktail” of Benadryl and Haldol. Had blood and urine taken, received no results on blood and urine never left the counter. Told to sleep it off, neurology would be in eventually to talk. He was there several hours later, upon when talking to him, noticed numbness and swelling were greatly diminished. Was told that they guessed I wasn’t getting admitted then and I needed to go home. Given handouts on parathesias and high BP (which I don’t have, it was high from pain and fear). Told to see neurologist, which I have one and did I would make appointment with him. Told MRI was clean, no results on labs or ECG (or urine for that matter!) History of fibromyalgia and DDD with severe back pain seemed to strongly impact this visit, but especially old history of migraines, which have diminished greatly and extremely predictable with same aura every time. Sad that this is where we are if the patient has multiple chronic illnesses!